Start by paying attention to how much salt you consume, from the amount of sodium hiding in prepared food products, to the amount you add when cooking and seasoning. Pro tip: recommended daily allowance of sodium is 2300mg/day. As a visual, that’s about 1 tsp of salt per day. If a recipe calls for salty ingredients like cheese, tamari, or olives, you’ll want to use less salt than usual when you season. Most (about 80 percent) of the sodium we consume comes from processed or prepared foods. 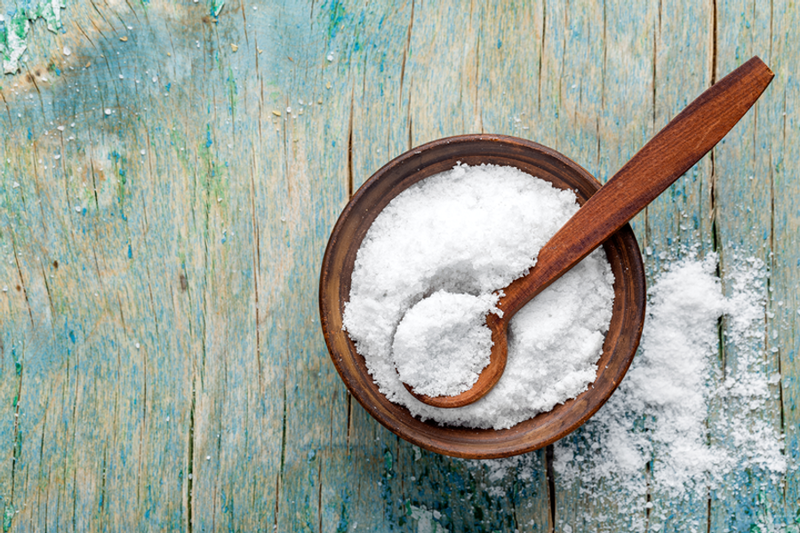 Your salt intake will decline simply by using whole food ingredients to cook wholesome meals at home. Spices and dried and fresh herbs can deliver a bold flavor that can help you not miss the salt so much. Pro tip: just be sure to buy salt-free versions so that you can score the benefit of the spice flavor without adding sodium. A squeeze of citrus from a lemon or lime, or hit of acid from vinegar can lighten our reliance on the salt shaker. Foods such as bananas, broccoli, cantaloupe, and sweet potatoes are good sources of potassium, which can counterbalance sodium’s tendency to increase blood pressure. This puts you in the driver’s seat of your sodium intake and kicks food manufacturers to the back seat. Stock your pantry with no salt added broth, fire-roasted tomatoes, canned beans, and other no-salt products. Another obvious but often overlooked tip is to sample before you shake. Taste your dish first so you can gauge how much salt, if any, needs to be added to your dish, you may find it’s perfectly seasoned as is. Or, that all you need is just a pinch. “Reduced sodium” means it is at least 25 percent less than the original product. But, always look at the mg per serving because it could still be high. “Light in sodium” means it is at least 50 percent less than the original product. “Low sodium” means the item is 140mg or less per serving. “Very low sodium” is 35mg or less per serving. “Sodium-free” is 5mg or less per serving.